The knife is arguably the most important cooking tool. This is essential in cutting, slicing and paring ingredients so you can achieve uniform sizes that make way for easier cooking. This is why it’s important to go the extra mile when it comes to acquiring knives. Whether you are a professional or a home cook, you will find a good knife set indispensable. When I invested in the best knife set that is within my budget range, cooking got a lot easier. I said goodbye to dull knives that just made chopping vegetables so frustrating and tedious. I was also able to save myself from pain and injuries because the knives do their work efficiently. Dull, poorly maintained knives need extra effort, so they can cut through the ingredients, which can inadvertently cause cuts and injuries. You can also do the same to save yourself time, trouble and injuries. I made sure to find the best recommendations for different budget ranges and different needs. There are nine knives I would prefer to have in a complete set. Anyone spending less than $200 probably will not be able to get all of them. That is okay. There are some you absolutely should get, and any knives missing from this list can be bought separately. This is the main knife. Also touted as the “king” of knives, you will use this knife more than any other knives you have in your kitchen. If the set you are buying doesn’t include this, look for another one instead. They come in different sizes. I have seen some as small as four inches and as large as a foot long. Eight inches is the most common size, and it is the easiest to control and cut with in my opinion. It can be used to slice vegetables, chop them, crack bones in meat and to cut the knuckles in half on chicken bones. It is a must-have for all types of cooks out there. 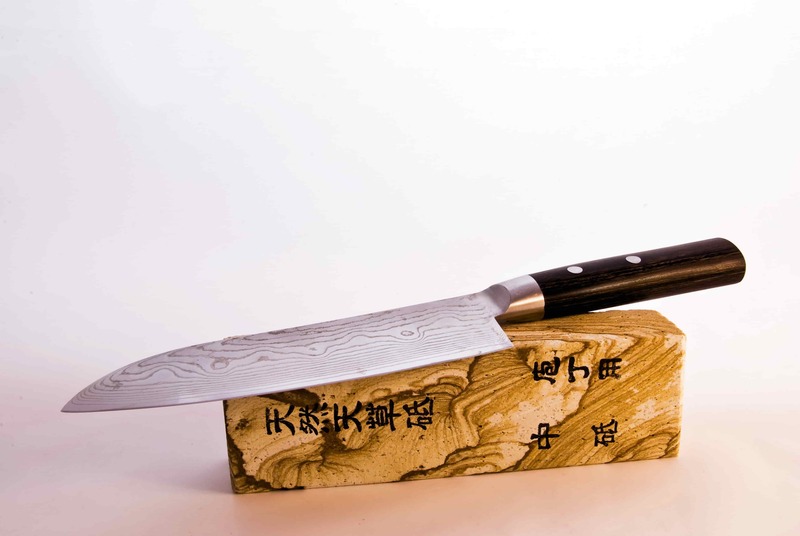 This is the Japanese version of a chef’s knife, and it is very useful. It translates into “three benefits”. The blade design is great for vegetable work, specifically slicing, mincing and dicing. The design helps prevent the vegetables from sticking to the knife. Its shape also allows it the ability to do some minor cleaver work. Hopefully you can find a set with this knife in it too. You need two types of filleting knives. One is for cutting tougher meat like beef and pork and one is for filleting fish. The former should be able to cut through tougher meat as well as trim excess fat while the latter should have the bendability and flexibility needed to work your way around the bones of a fish. 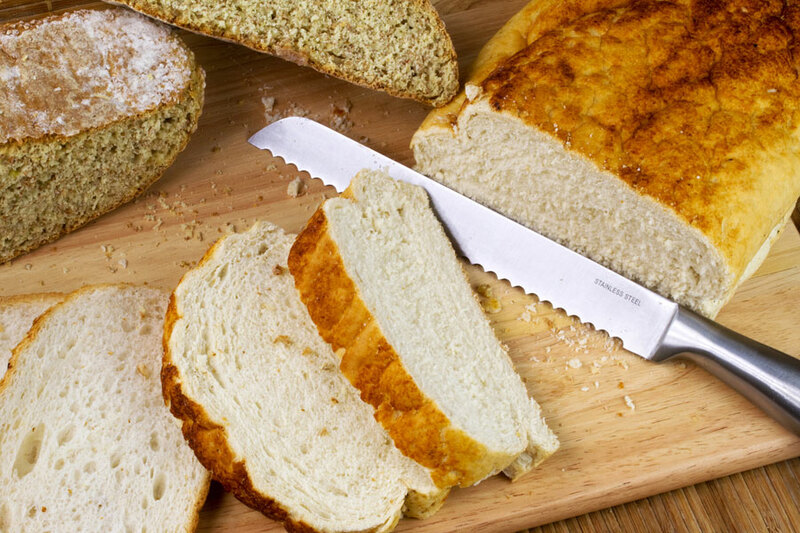 Using a serrated bread knife to slice bread is much better for appearance than using your chef’s knife. The serrated long knife keeps the bread from looking mangled because you are sawing through it. A boning knife goes well with the firmer fillet knife. It is especially useful when cutting through joints and tendons. A cook can save a lot of money by purchasing whole chickens or larger cuts of meat, fabricating them with a boning or utility knife and trimming them with a fillet knife. These knives are a must-have for any knife set. They are made to trim and work on fruits and vegetables. You might even get some more use out of them if you do amateur vegetable carvings. They are also great for creating pretty garnishes for your food. 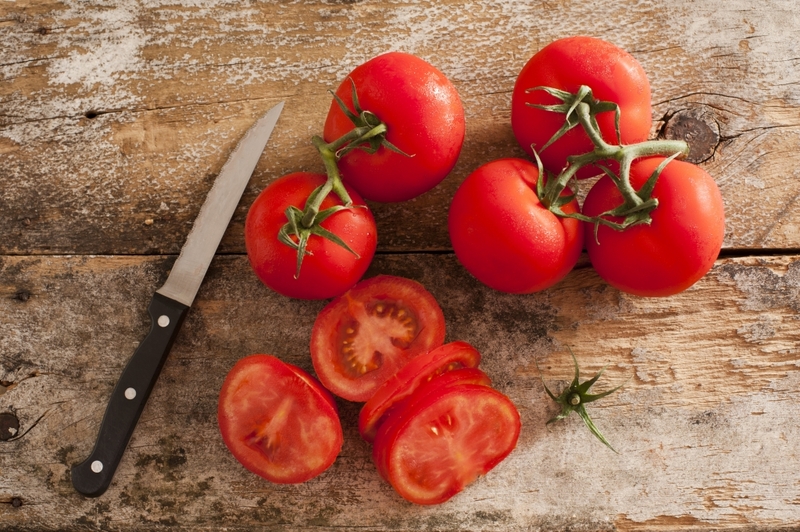 Serrated slicers work well for certain types of meat, and believe it or not, soft fruits and vegetables. They slice right through thick cuts of meat evenly, and they are helpful in producing even slices of soft fruits and vegetables like tomatoes. This is another serrated knife. It can be used to cut through breads and can also be used for any other purpose serrated knives are used for. However, it is more useful for smaller purposes like making sandwiches. One of the most useful aspects of the offset knife is its added safety because of the knuckle clearance it offers. Most knife sets will include this one. Honing steels are often mistaken with knife sharpeners. It is not a knife but a tool you can use to keep your knives in great shape. You should hone your knives before every use and after you clean them. It keeps the edges even and also ensures the sharpness of the knives. It is absolutely necessary to have this in a set for knife maintenance. When it comes to buying knife sets, you get what you pay for. If you skimp on money, you won’t get all the things you need. You might even get a sub-par set of knives. Save yourself the frustration and allot a reasonable budget for a good set of quality knives. 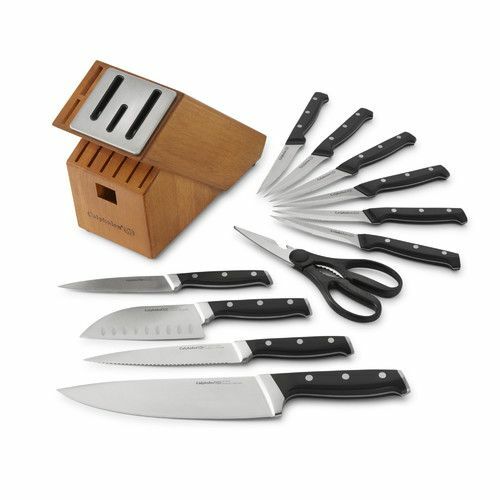 This is a 14-piece knife set that boasts of German craftsmanship. The stain steel, high-grade and high carbon material that these knives are made of giving them the sharpness and longevity that professional and home cooks will love. It also comes with an integrated sharpener so you shouldn’t have any issues keeping your knives in great shape. In fact, sharpening is not rocket-science, thanks to its fool-proof mechanisms. This is a pricey knife set that you won’t regret adding to your home cooking repertoire. The steak knives are stamped steel, but the cutlery is forged. The knives are quality stainless steel and high-carbon. It also comes with a ceramic sharpener to keep your knives in great condition. You are literally sharpening your knives after you clean them and put them back in the block. 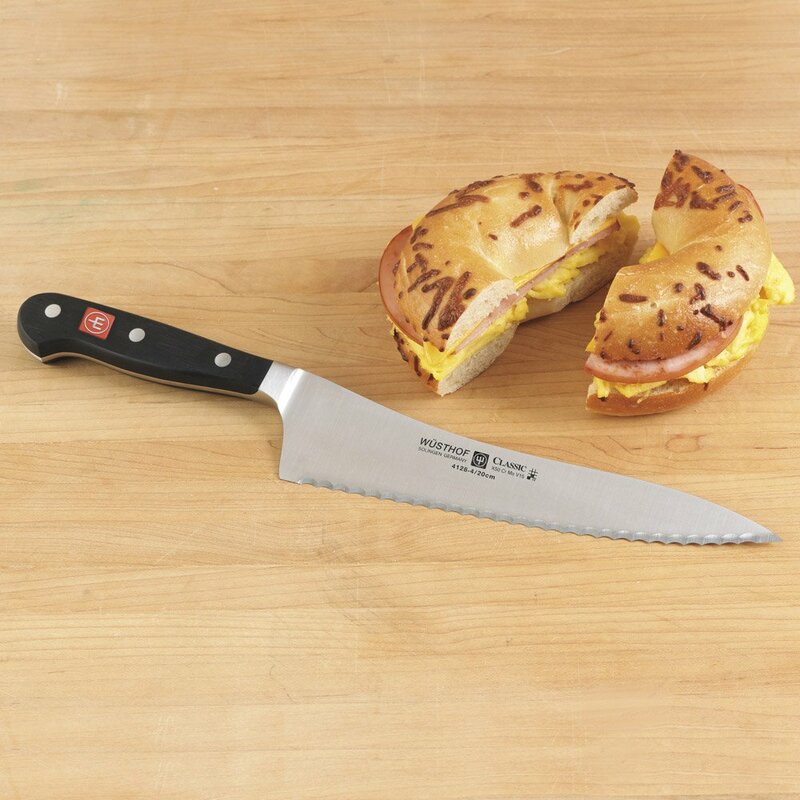 Aside from the steak knives and poultry shears, the set includes an eight-inch chef and bread knife, seven-inch santoku, three and a half-inch paring knife and a six-inch utility knife. If you are serious about your steaks, this is the best knife set for you. It’s basically a steak lover’s dream knife set due to the many different steak knives included in it. Aside from the steak knives, the set includes the all-important chef’s knife, serrated utility knife, hollow edge santoku, a paring knife and a sharpening steel. The handles are triple-riveted and contoured for a strong grip. Look and feel like a chef while using these knives. With their stellar craftsmanship and advanced design, you will be hard-pressed not to choose this one. You won’t be disappointed with the many knives included in this set although it’s at the higher end of the market. 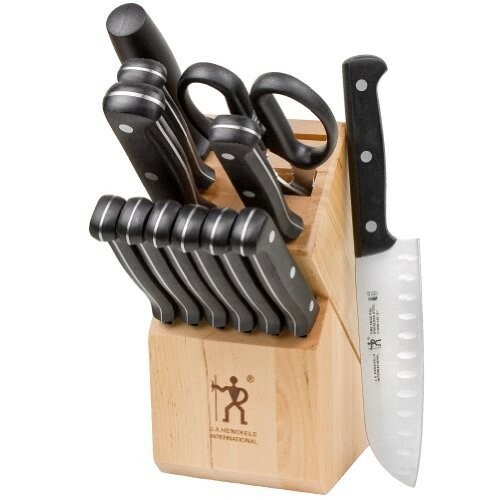 Many chefs love this knife set so average home cooks will find them ideal to use as well. Wüsthof is a name that professional chefs associate with greatness. Many people dream of owning this professional set. It just makes even a regular home cook feel like a pro. It is manufactured in Germany, and they were able to make the knives extremely light and sharp. They are so light that some people even find it to be a downside. The blades are tempered and are made with riveted synthetic polypropylene for long-lasting use. It is a 12-piece set with only four steak knives and poultry shears. The rest are from the essential list I described above. This your chance to bring Wüsthof into your kitchen without spending too much money. Now, which of these knife sets should you ultimately get? I know you would want to get something that will last you for many years. They should all be good, but you also need to find the set that truly matches your needs and expectations. There is no doubt that a knife is an important tool in the kitchen. 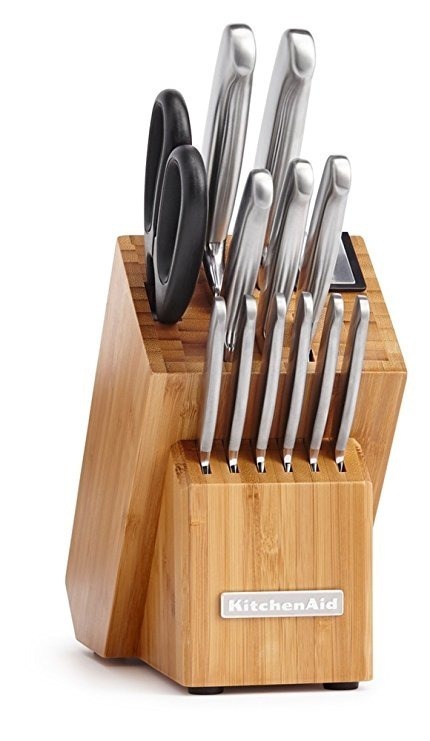 That is why it is rewarding to get the best knife set such as Calphalon’s Classic Self-Sharpening Cutlery Knife Block Set for all your cooking needs. 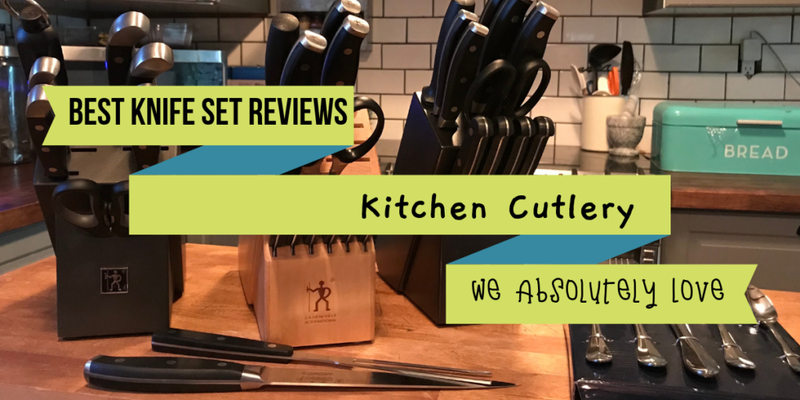 KitchenAid’s KKFSS14BO 14 Piece Classic Forged Series Brushed Stainless Steel Cutlery Set is a great starter kitchen knife set. It has everything you need, even a sharpener, so you don’t need to spend money on the maintenance of your knives. 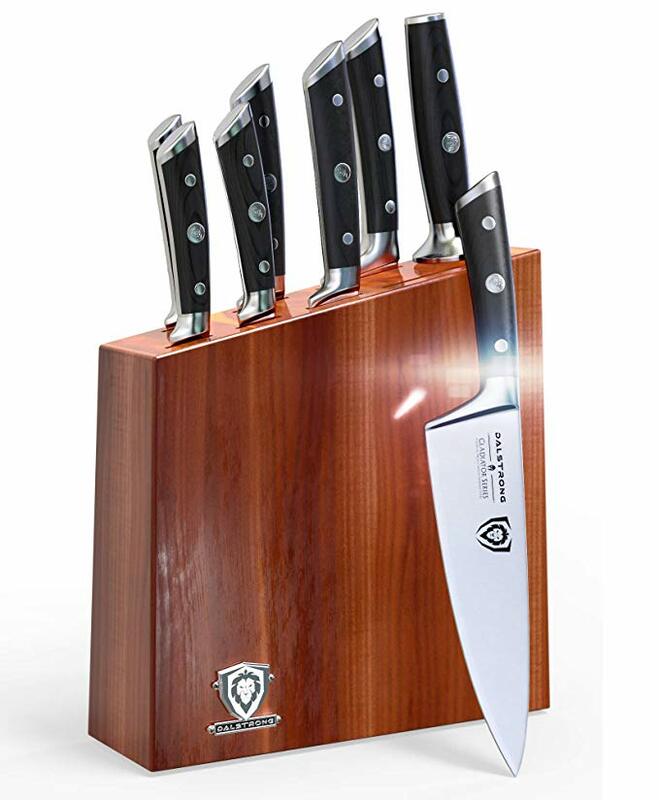 The Calphalon Classic Self-Sharpening Cutlery Knife Block Set is for those who are looking for a more mid-range knife set that fit their higher skill level more. It also has the basic things you need in a knife set. The J.A. Henckels International Fine Edge Pro 13-Piece Block Cutlery Set is a little lacking in types of knives but if you are looking for a good meat or steak knife set, this should be a sterling option for you. Get the Dalstrong Knife Set Block if budget is not an issue. It’s a little bit more expensive but you will look like a pro when you have this set. 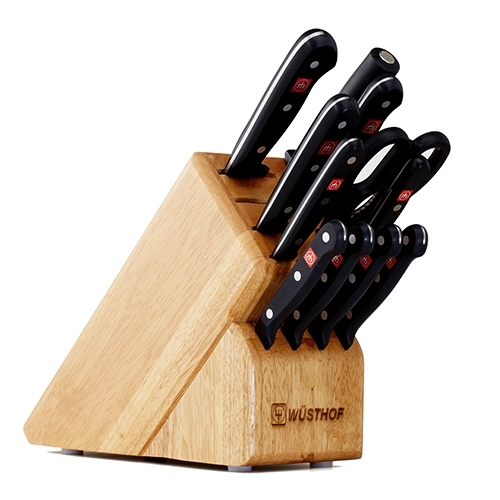 The Wüsthof Twelve Piece Block Set is perfect for those having difficulty holding heavier knives. These knives are beautiful and lightweight. 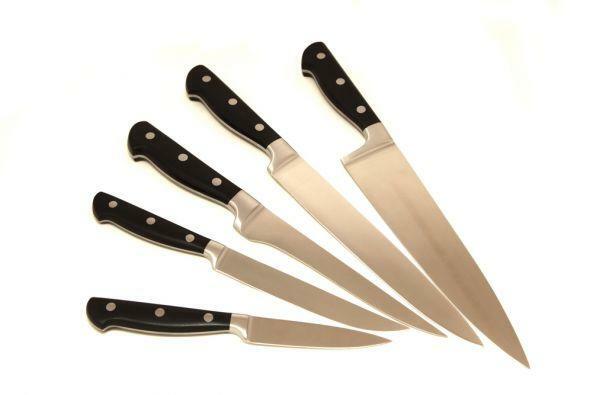 Assess your needs and decide which of these knife sets are a perfect match for you. If you are looking for more knives or other kitchen and cooking equipment to buy, do check out my homepage. You can find more reviews and product recommendations, so you can get the best cooking equipment in the market today.